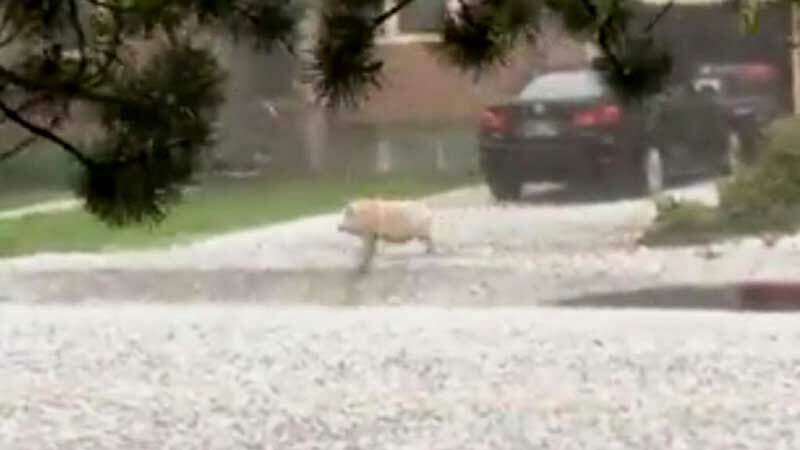 He was spotted running down a street during the downpour. Rick Lindholm, who was shooting video of the storm, spotted Hamlet. "What is this? It's a pig!" Lindholm says excitedly. Hamlet is now doing fine and is back to his normal self after a few treats. Carmella Tyrrell, Hamlet's owner later said: "Hamlet is good. We were terrified when we saw him running down the sidewalk. My son came to his rescue."